Aside from the ritualized viewing experience itself, this weekly event included standing in line hobnobbing with dozens of fellow viewers outside the El Rey Cinema for an hour or two before the film started at midnight. Some introductions: there was “Sputnik,” a punk-/New Wave-rocker and amateur filmmaker from Vallejo; “Ralfh,” who introduced me to DEVO and who would invariably show up at the theater bearing a big box of fried wings from his cook’s job at Tokyo Chicken in Lafayette; and “Garret,” a pasty and budding mad scientist with an encyclopedic knowledge of local abandoned buildings, hidden staircases, and errant chemistry. 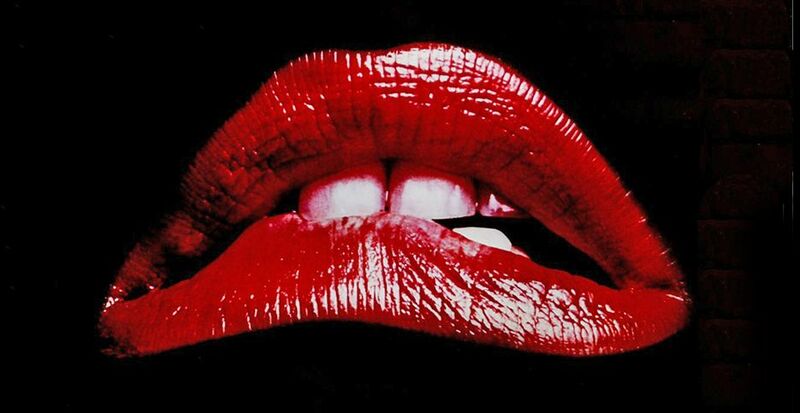 We four were a pack-within-a-pack (Sputnik, Ralfh and I eventually became roommates, and Garret often insinuated himself into our apartment at inopportune moments); together, we must have seen RHPS at least a hundred times. I eventually got somewhat bored by it, but would show up at the cinema around 10 p.m. just to hang out until the movie started. After everyone went in, I would hike a couple of blocks to Lyon’s, an all-night diner, where I would read science fiction novels and drink coffee until everyone came out around 2 a.m.
“Why do you call it the Twilight Zone?” we asked. The question was answered when we entered the terminal: to the right of the door was a nondescript desk under a pile of pilot-related bulletins and wall-mounted cork-boards; but to the left was a mise-en-scene worthy of Rod Serling himself: a vinyl-padded, brushed-aluminum couch, with matching table and chairs nearby; a wooden phone booth with a folding glass door, containing a payphone with slots for nickels, dimes and quarters; a big and loudly ticking Bulova wall clock; a hot-beverage machine that for 25 cents disgorged either coffee, cocoa or chicken soup; two snack machines offering an array of candy bars and cheese crackers; black-and-white-checkered floor tiles; a four-foot-tall standing ashtray; and a prominent poster warning about the spread of fruit-worms. When we three (and occasionally Garret) became roommates, we gradually stopped frequenting “the Zone.” After all, we could do all the hanging-out we wanted to in the happy privacy of our living room. Yet I still think of it with fondness. I find myself hoping some modern weirdos currently occupy it during the wee hours, and that, even now, the guard is never allowed to come inside. I remember everyone except Garret. Jim roomed with Jevene and me for a while. He was so much fun.